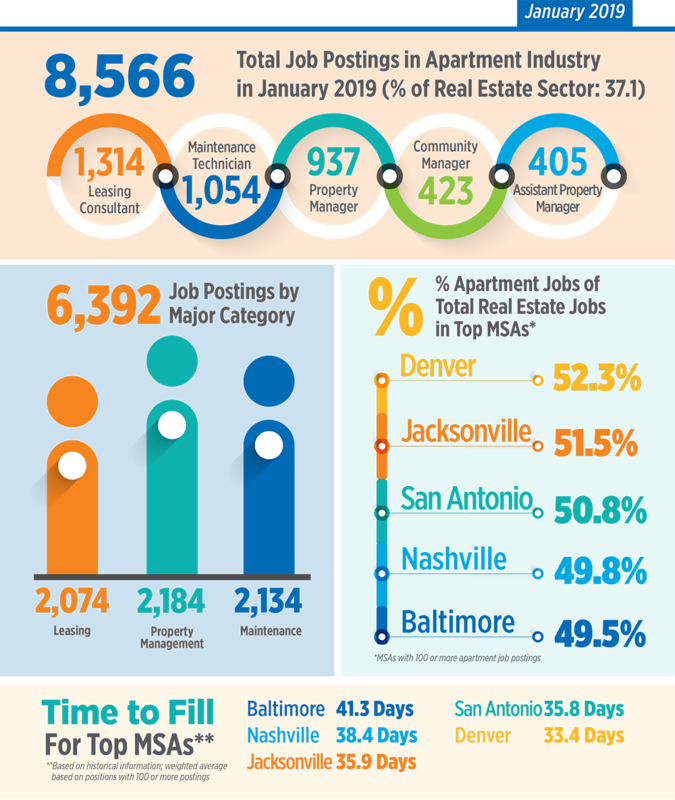 Jobs available in the rental housing industry comprised more than 37 percent of the real estate sector in January, above the monthly average of 35 percent. Days to fill were particularly challenging in Baltimore, where the unemployment rate fell to post-recession lows at the end of last year, and Nashville, which currently boasts the tightest labor market of major metro areas across the U.S. This month’s edition spotlights the maintenance technician. 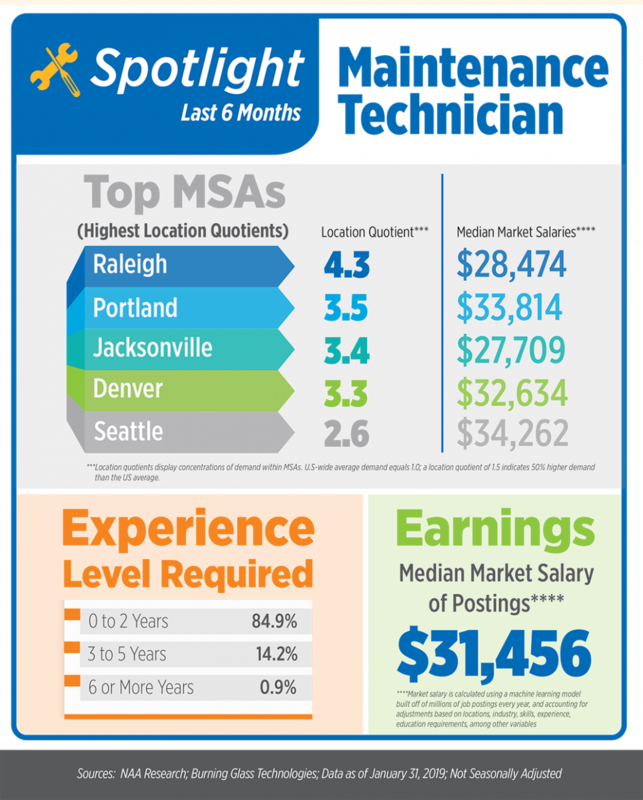 Demand for these positions was more than 3 times the U.S. average in Raleigh, Portland, Jacksonville and Denver.